Very Good. American Gun: A History of the U.S. in Ten Firearms (P.S. ) by Doyle, William, 2014-05-19. Trade paperback (US). Glued binding. 302 p. Contains: Halftones, black & white. P.S..
Good. 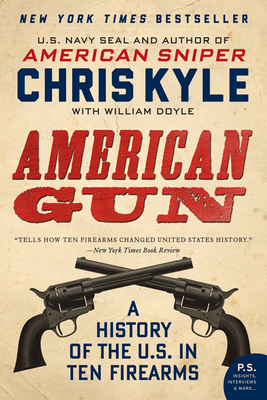 American Gun: A History of the U.S. in Ten Firearms (P.S. ) by Doyle, William, 2014-05-19. Trade paperback (US). Glued binding. 302 p. Contains: Halftones, black & white. P.S..